Private and personalised Madrid experience with a specially handpicked Host. Experience the best of both worlds as you discover Madrid’s most famous attractions as well as the hidden gems tucked away just around the corner from these iconic sights. Your Host, who's been specially matched to you, will share with you what life is really like in Madrid and help you get oriented in the bustling city centre as you explore the famed sites between Palacio Real and Parque del Retiro. 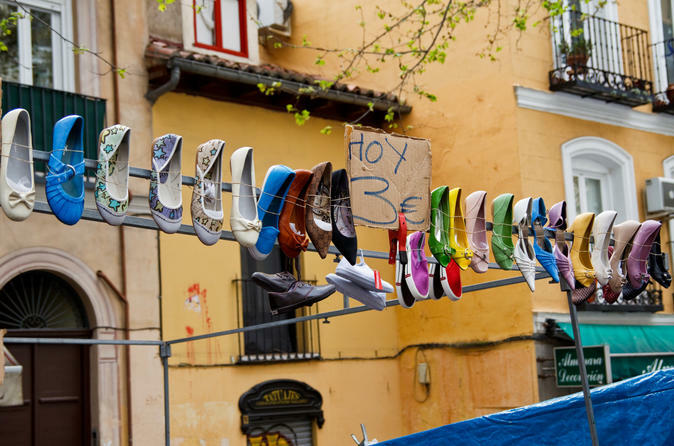 Explore the best known areas of Madrid as well as getting a little off the beaten path, seeing a side of the city that most tourists miss on your fully personalised route. Join your thoughtfully handpicked Host to be introduced to Madrid's top attractions, get your bearings and start exploring! Choose exactly what you’d like to tick off your Madrid bucket list, taking your pick from the top attractions like the iconic Palacio Real and the Parque del Retiro as well as being shown a few hidden gems nearby that are local favourites. Just like the locals do, make time to relax with a drink and savour some the best local dishes. Get recommendations of the best places to taste authentic Spanish food - whether your preference is a Michelin star level, local cafeterías or neighbourhood tapas bars, Madrid has so much to offer! Follow the unique route which your Host has designed specifically to take in your chosen attractions, as well as including a few secret local spots along the way! Spend time getting to know your Host who can give you advice, insider tips and Madrid travel hacks and suggest things to see, do and eat that they know you’ll love.